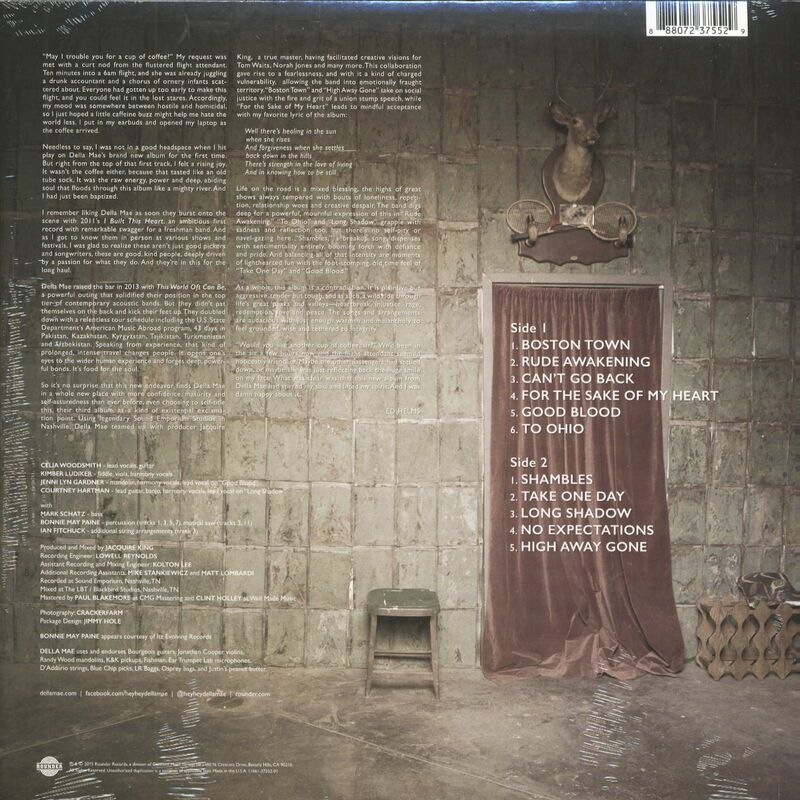 (2015/Rounder) 11 tracks. 2015 sophomore release, the follow-up to their Grammy-nominated 2013 album, This World Oft Can Be. 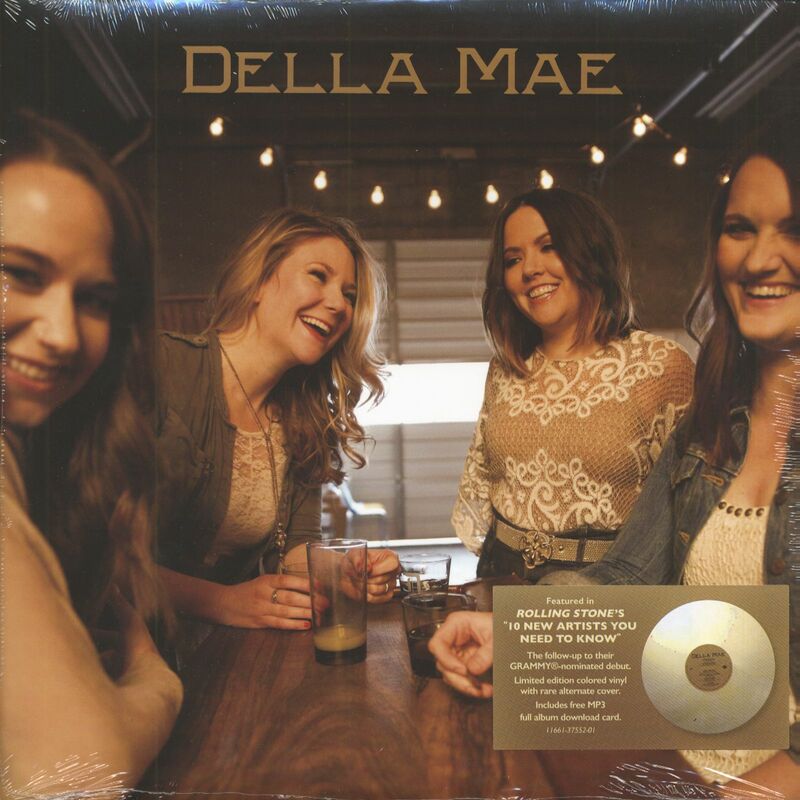 Della Mae's self-titled second release for Rounder finds the all-female combo delivering 11 compelling new tunes that embody the musical and emotional qualities of the group's prior output while venturing into uncharted creative territory. Produced by Jacquire King (Of Monsters and Men, Norah Jones, Dawes, Kings of Leon), Della Mae showcases the band's emotional intensity and musical invention on such originals as 'Boston Town,' 'Rude Awakening' and 'For the Sake of My Heart,' as well as on vivid, insightful readings of the Rolling Stones' 'No Expectations' and the Low Anthem's 'To Ohio.' With an approach that's steeped in tradition yet firmly rooted in the present, Della Mae draws from a well of influences to create vibrantly original music that conveys their expansive musical vision with timeless lyrical truths and a contemporary sensibility all their own, placing them alongside such young acts as the Avett Brothers, Punch Brothers, the Lumineers, and Hurray for the Riff Raff. Kundenbewertungen für "Della Mae (LP)"